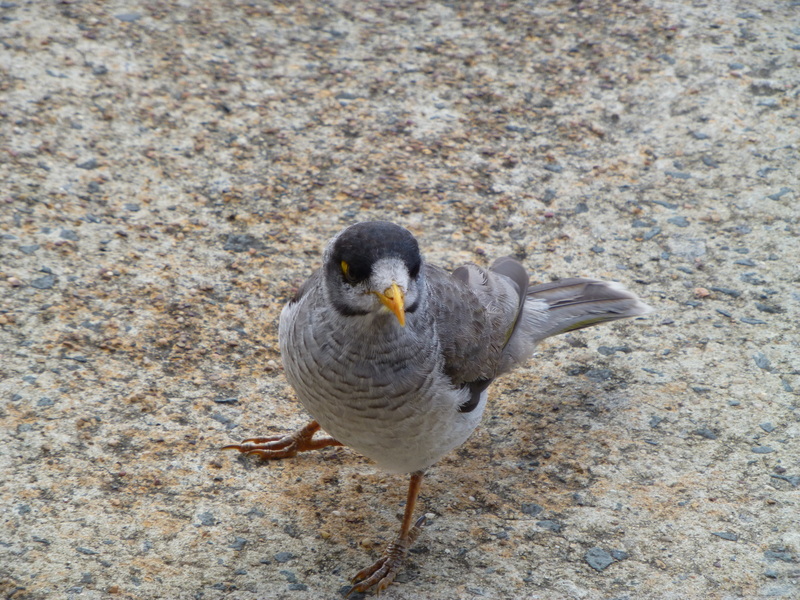 The piercing gaze of this Noisy Miner arrests us. Cute though they may appear, these birds are quite aggressive and highly territorial. At home I see them almost every morning, dive-bombing the cage of our pet Budgerigars Albert and Victoria. This is a photo of one that inhabits the local park.